Not all Paris airport taxi services are created equally. Learn to identify potential scams. I still remember my first bad taxi ride from Charles de Gaulle Airport. I was returning home from a visit with family in California, lugging around suitcases so heavy I thought I might give a Paris airport taxi a try. 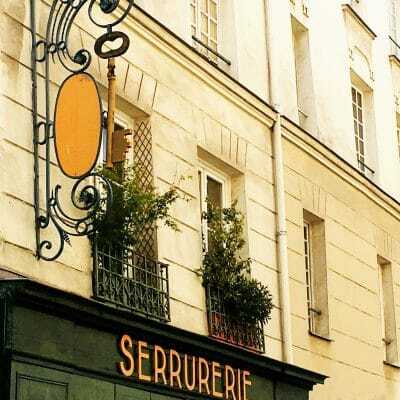 In the past, I’d simply taken the RER B commuter-line train from the airport to Gare du Nord– an hourlong ride that was sometimes a bit tedious, but perfectly fine. I somehow managed to miss the official taxi queue outside the arrivals gate at my terminal (full disclosure: this was somewhere around 2004, when the airport signs were not quite as clearly marked). Blame it on jetlag, naiveté– or both. I ended up climbing into a taxi after two guys vigorously waved in my direction, ushering me inside their cab. At only 23 or 24, I had little experience with this sort of thing– and assumed the taxi would be equipped with a meter to accurately and fairly calculate my fare. From my recollection, there was no illuminated “taxi” sign on the car’s rooftop. Hmm….can you imagine how this all turned out? 1. Get in an official taxi queue. 2. Only get in a taxi with an illuminated rooftop sign and a meter. 3. Know the going rates. 4. Don’t accept rides from anyone urging you to use their service. 5. Reduce stress by pre-booking a ride with a reputable company. How long does it take to get between Paris and the airport? Do I even need to take a taxi from the airport? In other words? 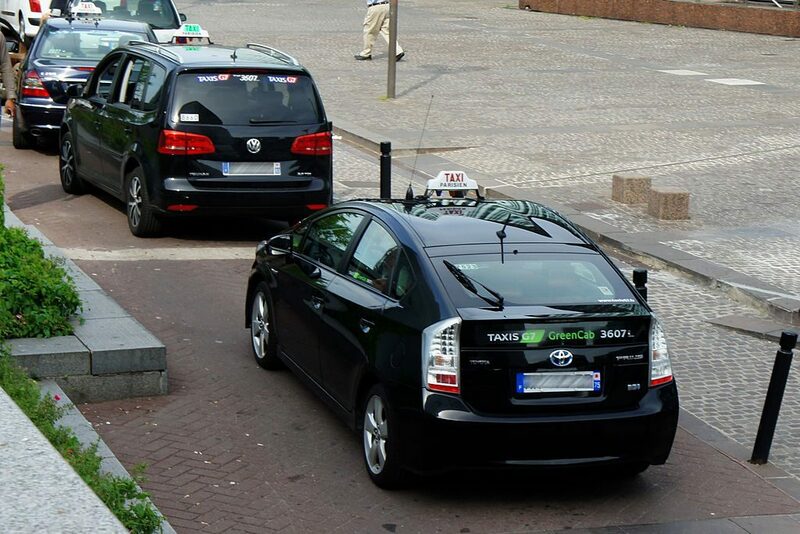 They weren’t a legitimate taxi company— and I’d been scammed. A legitimate, non-metered taxi or shuttle would have given me a fixed-price fare before the ride, and asked me to agree to it or pay it in advance. And even then, that quoted fare should correspond to going rates– not exceed them. Luckily, I managed to scrape together a few coins at the bottom of my bag, and paid the vastly inflated fare. I told the driver that I was unhappy, and obviously gave him no tip. Of course, he didn’t care: other unsuspecting tourists at the airport would likely climb in the cab as naively as I had. He and his colleagues would reap the rewards of ripping off people who had no idea they might be taken advantage of in a place like Paris. A taxi waits outside Paris’ Orly Airport, South Terminal. Always find the official taxi queue and look for an illuminated “taxi” sign on the rooftop of the car. 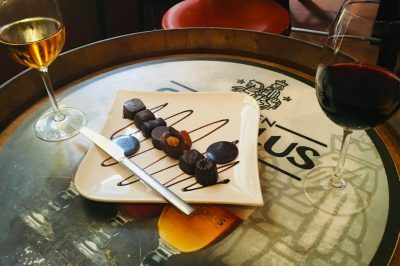 I offer this cautionary tale to help you avoid repeating my mistakes when taking airport taxis in Paris (and around France, more generally). You probably already understand that to avoid getting overcharged and taken advantage of by unscrupulous “taxi” drivers, you should do exactly the opposite of what I did. Still, let’s spell out some basic principles and tips so you make sure to get in the right cab. Of course, these apply to taking shorter rides around the city, too. 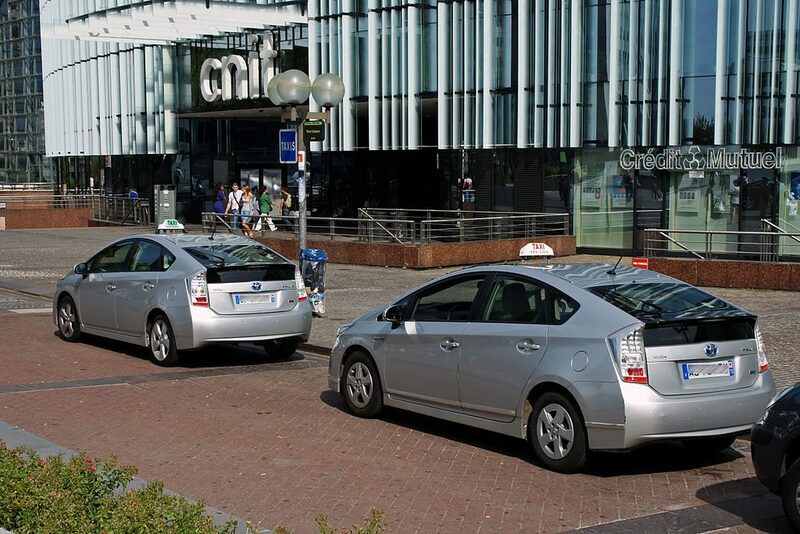 This is the first, and probably most essential, step when choosing a taxi for a ride to or from the airport. If you haven’t pre-booked a cab, make sure you only accept rides from taxis in the official queues outside your terminal (or around the city, if you’re headed to the airport). At Charles de Gaulle Airport, official and licensed “Taxis Parisiens” (Parisian taxis) park in queues outside the baggage claim areas of each terminal. Follow the signs inside, and look for taxi queue signs outside your terminal, at streetside. At Orly Airport, follow signs in the arrivals area to the taxi queues. 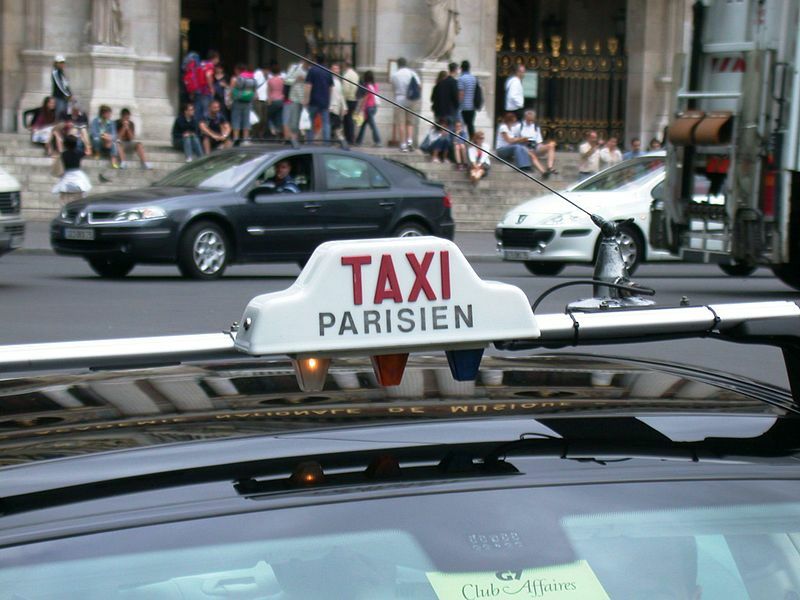 Unless you pre-order a ride from a reputable taxi or shuttle service, make sure you only get in to taxis that both have illuminated rooftop signs reading “TAXI Parisien” and are equipped inside with a meter. If you get in and notice there isn’t one, you can tell the driver you don’t wish to continue with the ride. He or she may protest. No matter. 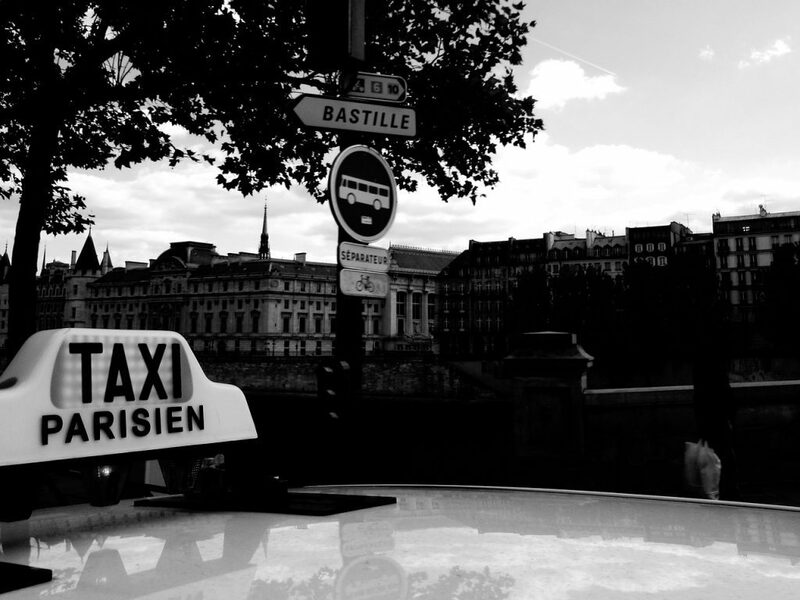 According to the Parisian Airports Authority (ADP), going rates for taxi fares to and from Charles de Gaulle to the city center currently range from around 50 to 55 Euros each way. From Orly airport, which is much closer to the city, your fare should cost between 30 to 35 Euros, depending on whether you’re going to the left bank or the right bank, respectively. These standard fares are accurate as of early 2019. 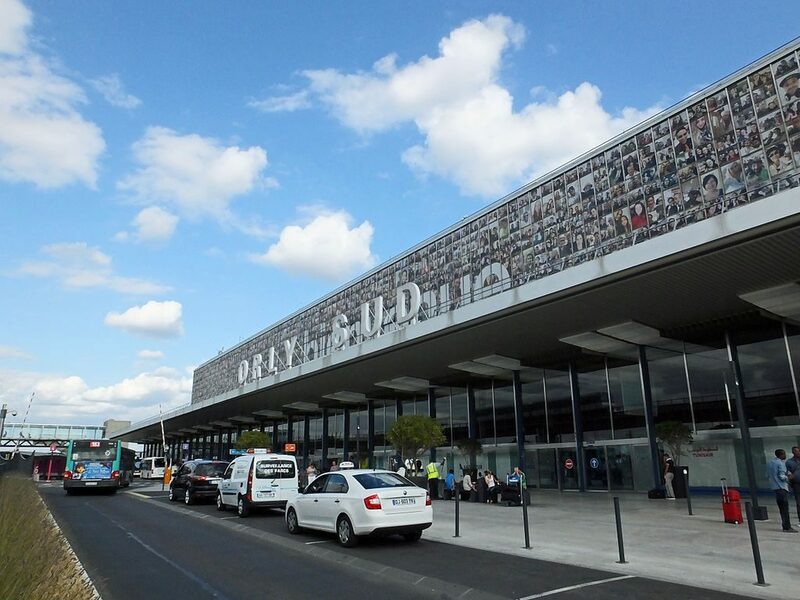 You can see updated information on using taxis from Parisian airports at this page from ADP. If you arrive at your destination and the fares are much outside these ranges, even on a meter, contest it and refer to the going rates quoted above. This is unlikely to happen– but be prepared to cite your rights just in case. If you’d prefer to pre-order a taxi to or from Charles de Gaulle, Orly or other airports around Paris, make sure you choose a trustworthy and highly-rated company. 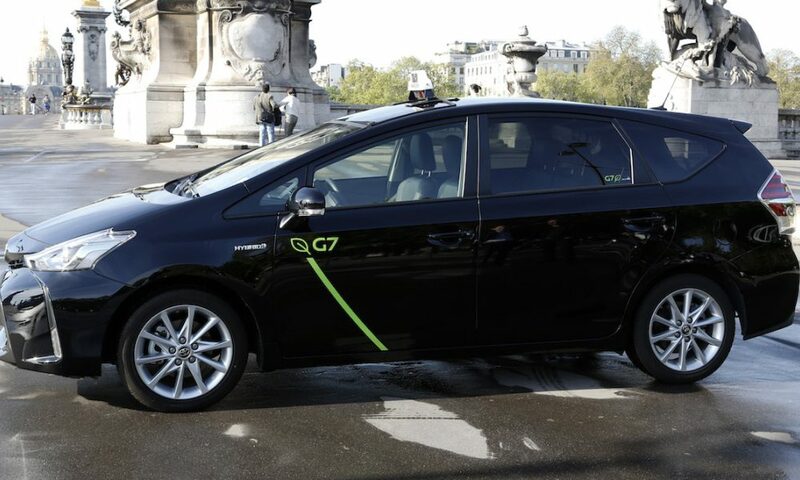 G7 has a fleet of over 7,500 taxis in the Paris region, and the Paris Airport Authority recommends them. You can easily book online and lock into fixed-price fares. I also highly recommend booking a ride with Taxi2Airport, a company that works directly with trusted local taxi and shuttle companies and currently has a nearly-perfect Trustpilot rating. Book a ride online using this link, and get 5% off your first ride. Some may prefer to use Uber, but I personally wouldn’t recommend it for a ride as long as the one from Charles de Gaulle. If you do choose to book a ride with Uber, pay attention to user reviews and don’t get in a car with a poorly-rated driver. Always share your ride with someone close for added security. I also advise women and unaccompanied minors to avoid Uber. There have been scattered reports of harassment and even assault. Even if these are rare, why take the risk? 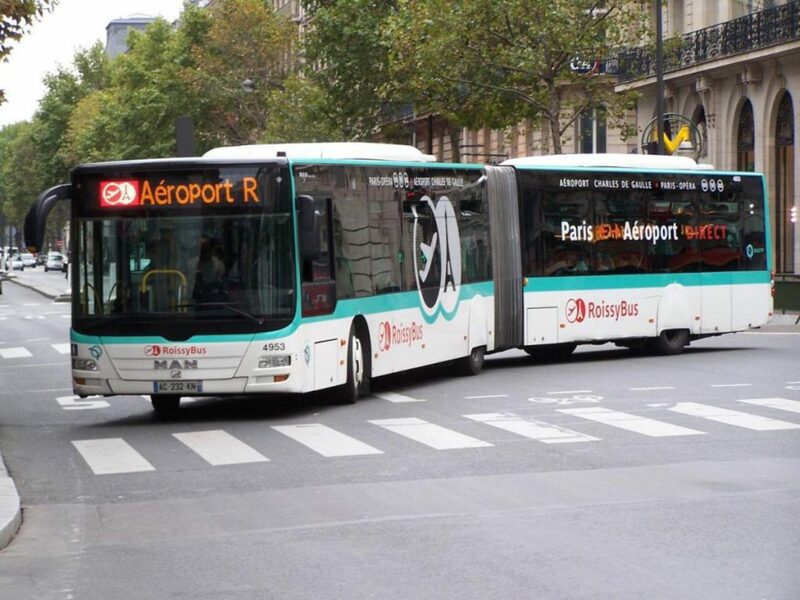 This will depend largely on traffic conditions and your final destination, but on average, the ride should take 35 to 60 minutes from Charles de Gaulle to the city center, and 15 to 40 minutes from Orly. In two words– absolutely not. There are many options that are far less expensive. Most people will be just fine taking public transportation such as the REB B commuter train, which gets you to central Paris at Gare du Nord (you may also get off close to the Latin Quarter, at Luxembourg). 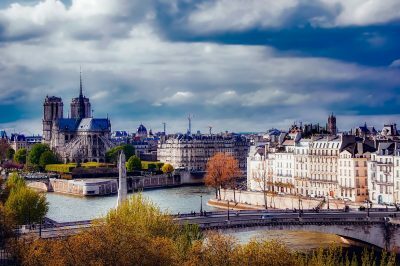 Others may prefer the Roissybus, a regular and inexpensive city bus service that drops off and picks up passengers nearby the Opera Garnier. There are also fancier coach services from the airport, for those who prefer perks like free wifi, increased luggage storage, strong air conditioning and more comfortable seats. Visitors with limited mobility, young children, or many heavy bags may end up deciding that taking a taxi is the best and most convenient option. Even having a monstrous case of jetlag or needing to get to the city more quickly are perfectly good reasons to opt for a taxi. My bottom line? It’s a personal choice. But if you do decide to hop in a cab, make sure you don’t fall victim to the scammers lurking at the arrivals gate and outside the terminal. For more information on avoiding taxi scams in Paris (around the airport and elsewhere in the capital), see this excellent piece. This reminds me of my first arrival in Athens by taxi from the airport. It was late at night and very dark and I had actually picked up the taxi at the legitimate taxi queue at the airport. My friend, who lived in Athens had suggested what it was likely to cost and I quickly realised it was actually going to cost every penny I had with me. In those days Greece had very strict currency controls and I think you were only allowed to bring in the equivalent of £20 from abroad. I quickly ran out of funds. The driver just dumped me somewhere in the suburbs. I was terrified.Luckily, that rarely happens these days. First of all, there are fixed fares from the airport to various locations in Paris and if the driver doesn’t quote you the correct fixed fare, you don’t get in. Also, there is now a very efficient metro service from the airport that drops you in the center of the city, near taxi ranks that are always full, day and night. Taxi scams are the worst all over the world. And, I agree 100% about avoiding Uber as a single woman or a minor in a strange country. 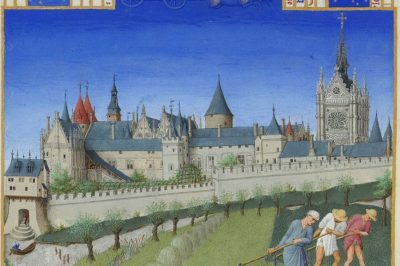 Good piece and thanks for the Paris tips. Thanks for this feedback. 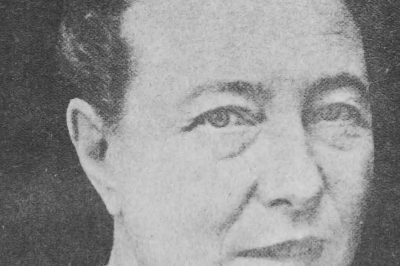 What a terrible ordeal you had in Greece– such a shame! Of course, in every country you visit, there are ways to avoid the unscrupulous who prey on tourists. Glad these tips were helpful.